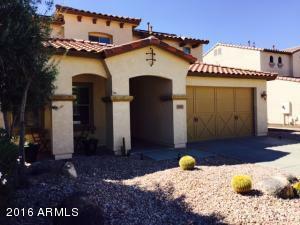 Beautifully upgraded home in sonoran mountain ranch. This charming house is loaded with upgrades. 4 bedroom 3 full baths plus a den. Kitchen is equipped with tile counter tops, maple cabinets, extra deep kitchen sinks, reverse osmosis and gas kitchen stove and oven. It has a whole home water softener. Solar city recently installed a solar system. There is 19.5 years of lease left. The solar system brought the aps bill from $500 in july and august to $125 for both months.